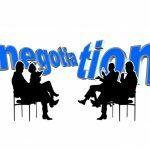 This article on “how to finalize a departure negotiation with your employer” is part of a series of articles on the same topic. If you are at the beginning of your departure negotiation, we advise you to look for other articles on the same topic on our site. 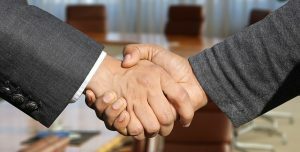 If you want to know how to finalize your departure negotiation, discover our advice right away. Congratulations! You’re at the end of your negotiation and you got all you wanted, or almost. Now is the time to finalize by inking the agreement as preempting victory is not victory. Promises only bind those who believe them. What about telling those around you about the outcome of your negotiation? Getting into a new negotiation phase! This may appear cynical as this kind of statement hits some values such as “delivering promises”, “a promise is worth all contracts in the world”, “be a man/woman of my word”, words should be enough … in theory. Now in reality and whatever the type of negotiation (leaving, hiring, transfer), many things are said, sometimes sincerely, sometimes to cut long discussions short or sometimes because either or both parties just want to reach a conclusion. When discrepancies between what has been agreed verbally and the written version are pointed out, “you can trust me/us” comes often as a response. Is trust as worthy as a contract on paper? If saying is possible, what makes writing it impossible or dangerous? Well, both parties know that writings legally bind and that some people would not hesitate to promise the moon. 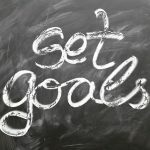 So, taking the responsibility to require that all be put in writing protects your interests and show your determination to get tangible elements. Or, on the contrary, would relying on words be a way to avoid the risk of displeasing your counterpart? Or to appear as rigid or slightly paranoid? Misunderstandings & misinterpretations must be lifted. Don’t forget that there might be quite some time between giving your notice somewhere and being confirmed in the next place (several months depending on local law) and in that window of time many things might have changed (strategy shifts, management changes, merging & acquisitions …). So, sometimes promises can’t be kept. Therefore, it will be then necessary to renegotiate new terms taking the new context into account or some form of compensation new terms can’t be agreed upon. One classical example is the one of a job title which might be the same in 2 different countries but recover very different perimeters of responsibilities such as “Sales Director” which includes all sales including sales operations, pre-sales & marketing in an Anglo-Saxon environment while it’s only sales in France. So, making sure we’re on the same page of understanding & representation is key. Don’t hesitate to go into details (at the right time) and repeat what you understand & see. This will generate confirmations or corrections. Be clear on what’s being proposed to you, thoroughly check that writings are consistent with promises are key to finalize your negotiation. To know more on the topic of Know how to finalize a departure negotiation with your employer or to contact a coach specialised in departure negotiation please use the enclosed contact form.